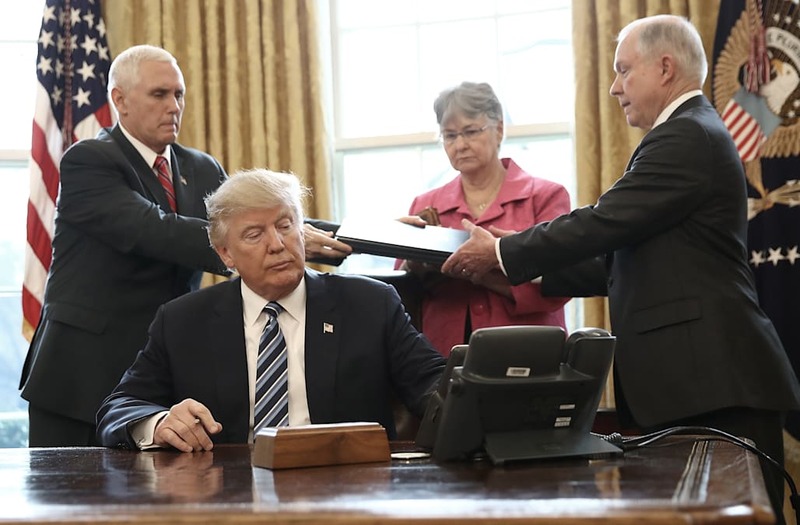 The Department of Homeland Security on Tuesday began rolling out President Trump's plans for a wider crackdown on people coming into the United States illegally. The moves, outlined in a pair of memos signed by DHS Secretary John Kelly, include an end to the policy of releasing people caught at the borders pending deportation hearings, hiring thousands more federal agents, sending more judges and officers to deal with asylum claims, enlisting more help from local police and speeding up removal proceedings for a larger number of people who are in the country illegally. The memos also recommend authorities seek prosecution of parents who pay smugglers to bring their children into the United States — decisions that will ultimately be made by federal prosecutors. Kelly's memos are nearly identical to executive orders signed by Trump last month as part of his campaign promise to take a harder line on illegal immigration. The memos add detail on how the new priorities will be carried out by U.S. Immigration and Customs Enforcement, U.S. Customs and Border Protection and U.S. Citizenship and Immigration Services. These moves are separate from Trump's ban on travel from seven majority-Muslim countries, which is has been blocked by federal courts and could result in a newly written executive order this week. The memos largely override previous orders from former President Obama. But, significantly, the memos leave two orders in place: one concerning young people who came to the United States as children but were allowed to stay, known as "dreamers," and another that allows parents to stay in the country if they came here illegally to join their U.S. citizen children. The second, however, has been blocked in federal court. Was it legal for ICE to arrest young immigrant with DACA status?